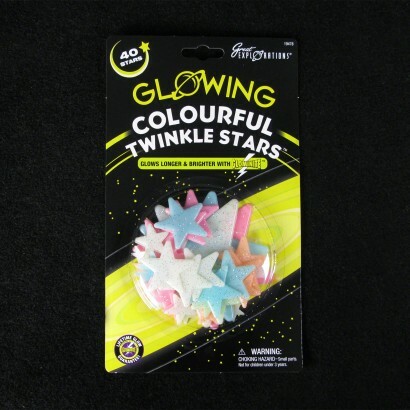 Turn your room into a starry, starry night with colourful twinkling glow stars! 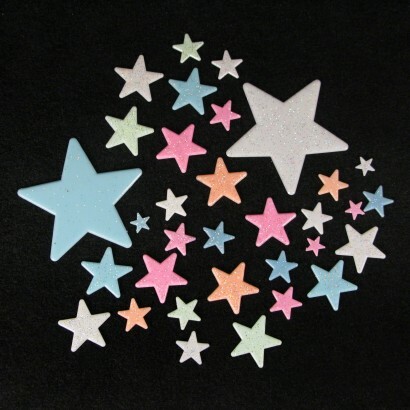 A pack of forty glow in the dark stars in various sizes and colours, there's enough stars to create a sparkling universe in your room. 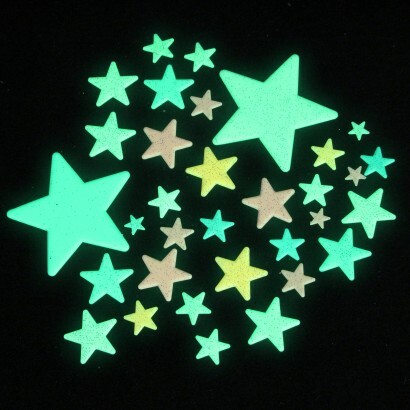 Place on your ceiling and walls where they will receive maximum exposure to light and your glow stars will charge throughout the day to glow brightly at night making a magical mural that doubles up as a night light.